Alexander Meyer is the specialist for online strategies and founder of ALMEconvent, vordermann.com and hackabu.com, international networks of specialists who develop concepts together from different perspectives and are represented all the way to the USA. His practical experience and the network of specialists guarantee the optimal implementation of the previously developed corporate and brand strategy, including the customer experience, into operational lead management. In order to always stay up to date, the latest tools in the online business are tested and evaluated on a weekly basis. Customers should benefit from experience in ongoing monitoring and optimization and, above all, draw a real and sustainable competitive advantage from the wave of success that has been conceived. 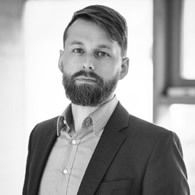 Alexander Meyer's main task is to provide conceptual support and support for the implementation of projects through suitable online marketing measures. As a partner to our clients, he is particularly active in the coordination and management of various special agencies.